Argyll Arcade, is it still there ? The Argyll Arcade was the first shopping mall does anyone remember it I used to go with my mammy there was one store that had model trains in the window I liked looking at them,my Mammy never bought anything she said everything was to expensive,does anyone know if its still there. The Argyle Arcade is still there to-day although it is just Jewelery shops that are there now. Apart from the bench in your picture, and the model rail shops, which have all gone, I suspect it will all be very similar to how you remember. Absolutely it's still there Tom. My engagement ring was bought from a jewellers in the Argyle Arcade many moons ago. Thanks fur postin the photo pal. Ah like tae make a wee purchase every time ah'm back oan holiday. Wan o' they sentimental things we wimmin dae ye ken? "i belong ta glesga..dear old glesga toon"
The Clyde Model Dockyard was very popular. We bought our son's first Electric Trainset there. My husband also spent a lot of money in that shop, as he used to build a lot of model's and put them along the pelmet above the curtain. We had a mad Budgie we named Haffie, because he used to fly up there and kick all the model's off. Our son also liked the Model's, but he preferred the horror one's like Frankenstein & the Mummy. He would paint parts of them with a special green paint so they would glow in the dark. Jimmy, I'll give you one guess who the Budgie was named after. Can anyone tell me if McGowan's the jewellers is still in the arcade. My best friend Janette Frew (Simpson) worked there for many years.I can remember trying on all the engagement rings, and dreaming . Yes Isobel, McGowan's still have branches in Argyll Arcade and Clarkston Toll. I too bought both our engagement and wedding rings in Samuels and I well remember the Clyde Model Dockyard. I think it was much nicer in the Argyle Arcade in those days, remember the lovely children's clothes shop at the corner, nicer gentler days I think. do you think I could get a rebate, or a new ring?  just like betterwear brush company, or tupperware take in your old one & get it replaced. 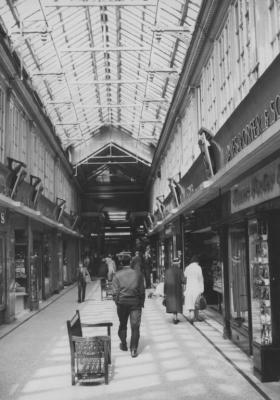 Argyle arcade would have to be one of my favourite places to visit when we are back, We also bought our wedding rings in McGowans in 1966. I just have to buy a wee something in gold when we are there. I also remember buying tartan slippers from a gift shop there for a friends little girl. Ahh,the Argyle Arcade. What a wonderful feeling one gets just window browsing. Over the years,on my visits home, I bought kilts,cardigans,tartan slippers,jewellery for my kids. a trek through the Arcade is a must anytime I go home. I am at the moment wearing my step-mother's engagement and wedding ring,which was purchased at Samuels the jeweller. My Dad bought whatever jewellery he wanted no where else but at Samuels.